Days are empty when i don't hear from you. Just a simple hello and my worries are through. Why am i feeling like this? 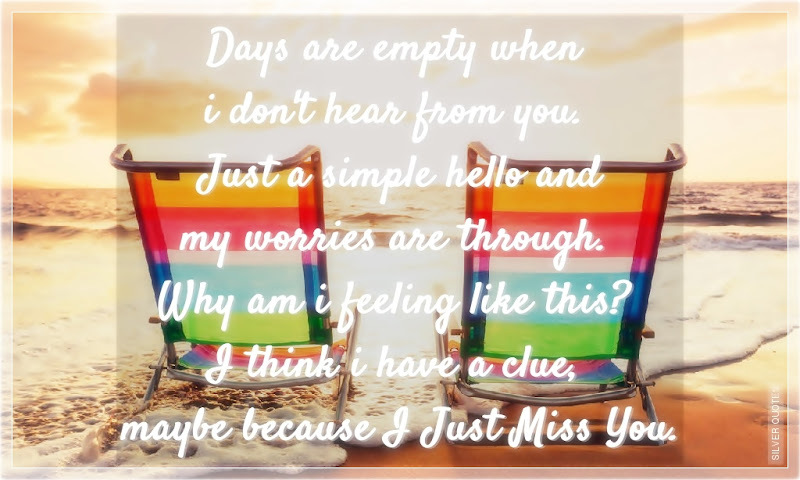 I think i have a clue, maybe because I Just Miss You.